Preoccupations have shared the full video for their instrumental cut 'Compliance'. The final track from their recent album 'New Material', it's a bruising instrumental that underlines the potent communication that exists between each member. Director Evan Henderson sculpts the new clip, which wanders through a post apocalyptic universe. Entering a forest, we encounter a spirit named Mariah, who has come to reclaim the world as her own. 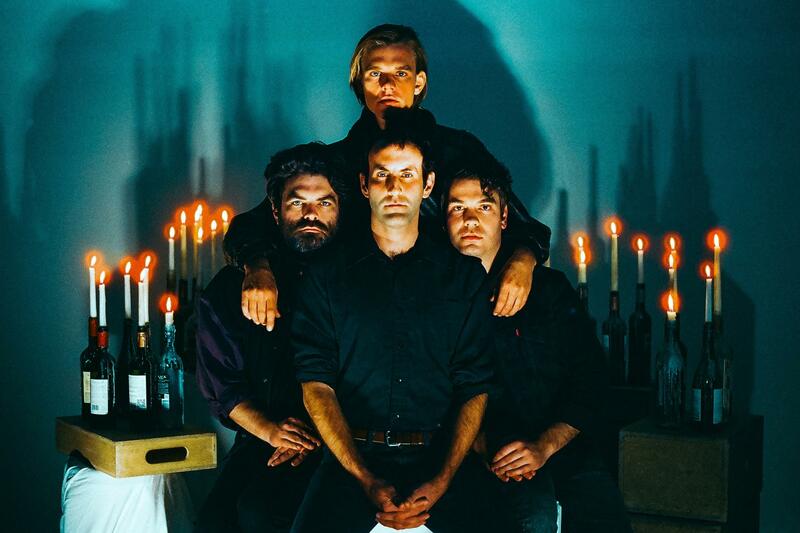 "'Compliance' - The final track off Preoccupations third studio album New Material is a fresh and stark departure for the band: a climactic wall of all encompassing noise and awe as two tones rise above the waves of sound and reach towards the cosmos, to eternity. This video directed by Nicholas Brown and Evan Henderson explores a post apocalyptic universe featuring a enigmatic forest spirit named Mariah." "Mariah has awakened from eons of slumber to a world that has long been abandoned by humans and heavily mutated by their waste and consumption. As Mariah struggles to make sense of this new world, she grieves for the one she has lost forever." "The Mariah creature was painstakingly designed and constructed by Brown, portrayed by Henderson, and captured by the haunting and beautiful cinematography of Adam Stewart. 'Compliance' brings a close to this chapter of the band as we look towards the future and marvel at the new heights their music will take."